Being managed by an expert of the coffee scene in Austin Nolan Green, Machine Head Coffee serves high-quality drinks. The company, radiating friendliness, gives dedication to the local community and has a partnership with Mill King, Wild Gift, local suppliers, designers, and artists. A lot of visitors keep coming back because of the creamy vanilla extract, perfect shots, and excellent microfoam. You’ll be delighted when you taste the cold brew and cappuccino. Machine Head Coffee shares an area with Veracruz (the best tacos in town). Coffee and breakfast tacos make them an excellent pair. The most popular can be found at 9003 Waterford Centre Blvd, Austin, TX 78758. Epoch Coffee which is located at 221 W North Loop Blvd, Austin, TX 78751 is open 24/7 and is one of the most alluring shops in town. It brings you perfect servings including delicious pastries, snacks, breakfast tacos, and of course coffee. The company has other shops such as on Far West Boulevard, West Anderson Lane, Sandra Muraida Way, and newest venue soon to be on East Austin. Austinites love Epoch Coffee because it keeps them caffeinated effectively. The shop has been working great since 2006. It was established by Chris Clarkson, Joe Rodriguez, and Kevin Garry. Together as close friends, their purpose was to have a place where people can acquire coffee in a non-robotic style. Epoch Coffee is one of the most excellent 24-hour coffee spots that you can find in Austin. If by chance your trip crosses 5811 Berkman Dr #100, Austin, TX 78723, try sipping a cup of coffee at welcoming Hank’s. You can conveniently get a table for your friends to hang out. It’s has a friendly atmosphere with large indoor and outdoor spaces, plus drive-through. A shop that works best for anyone, you’ll surely love to have more of its burgers. If you’re a pet lover, Hank’s is the right place to relax with lovely plants and natural light. The shop allows dogs to be on the patio. The name of the establishment was inspired by a dog that was kept by the owner for nine years. Aside from tasty coffee that it serves, the menu includes cocktails, various teas, beer, appetizers. The shop, exhibiting vintage style mixed with modern features, provides excellent service, great food, and drinks at a reasonable price. The happy hour deals are always available. When it comes to the best espressos in Austin, visit Houndstooth Coffee. The way it makes the espresso from boiling water through ground coffee beans is impressive. The most popular spot is at 4200 N Lamar Blvd Ste 120 Austin, TX 78756. There are also on Rock Rose Avenue, Congress Ave, and East Martin Luther King Jr. Boulevard. To escape on your own or bring your family, the shop won’t judge. 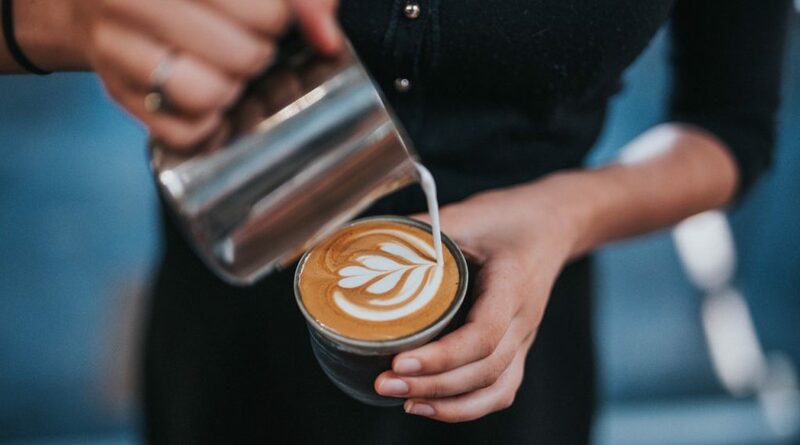 You’ll feel contented caffeinating yourself at Houndstooth Coffee as the area is guaranteed tidy with outstanding designs to relax. It’s a peaceful place in the midst of a buzzing city. Enjoy your coffee while surfing the net. You’ll surely give thumbs up to the excellent service of the staff, and the patrons are friendly. Houndstooth Coffee provides wonderful caffeinated beverages, pastries, and other goodies. A Reminder Before Going to the U.S. If you plan to visit the U.S.A, you would need to accomplish a form, ESTA Visa (Electronic System for Travel Authorization), to check your admissibility to enter the country. The Department of Homeland Security handles the ESTA. Since January 12, 2009, ESTA USA has been a necessary action to upsurge boundary refuge. The current USA Visa enables the US Government to monitor all travelers before they are certified to come into the nation. If you plan to travel to Austin, don’t forget to get help from USA ESTA, a leading USA Travel Authorization Online Agency, to accomplish your papers quickly with ease. Austin is filled with various kinds of amazing people. Upon reaching your destination, try to have a cup of coffee. There are about a zillion coffee places across Austin, and you’ll be fully satisfied. Energize yourself before you indulge yourself to numerous exciting locations across the state.